This weekend is Mother’s Day. As a mom of two busy boys, I’ve been asked several times this week how I would like to celebrate my day Of course I want nothing but the love of my family, but let’s be real, a few of these things and some treats from around Ogunquit couldn’t hurt. 1. Breakfast in Bed – it really only does happen once a year for me and I love it when the kids come upstairs with a tray, all full of smiles and bravado that they managed to get it together and upstairs without spilling it. If your staying at the Inn this weekend, we’ve got trays at the ready for your children to walk back your breakfast to your room. 2. Time with my family. Seems simple but it really is more complicated that one realizes. I’d like to walk the Ring Trail at Mt. Agamenticus with the family and our dog. 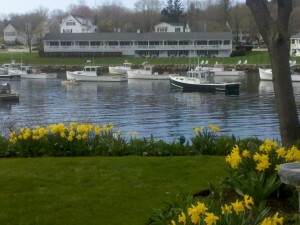 It’s less than a 20 minute drive or 7 miles to the trail head from The Beachmere Inn. Take in nature, a beautiful wooded easy hike and the laughs and giggles coming from my boys while we enjoy the time of just being together without having to rush to the next activity or answer the next email popping up on my smartphone. Yes I leave it in the car! 3. 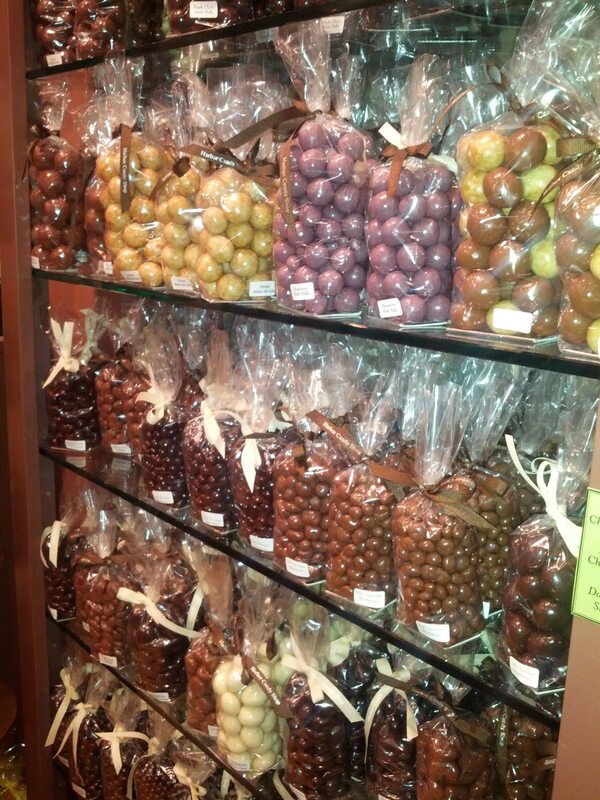 A stroll through Harbor Candy Shop. I just love jelly beans, all of them except licorice. Harbor Candy offers a wall of jelly beans that I can mix and match to my hearts delight. The boys can delve into the mounds of chocolate offerings (all made in house here in Ogunquit) while I eye the colors of jelly bean heaven. 4. We walk from the Inn to Perkins Cove to top off the day for a cup of Lobster Stew at The Lobster Shack at the back of the Cove. It’s my favorite stew (other than our own Haddock Chowder here at Beachmere). I enjoy the casual atmosphere, the food along with a cold bottle of Shipyard (made here in Maine) while letting the kids play in the Cove where I’m lucky enough to say they’ve grown up. Where ever you find yourself this mother’s day, with your mother, your family or your friends, I hope you have a wonderful day doing the simple things that you enjoy and make you happy.